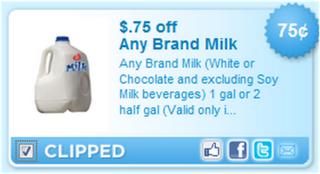 I am so happy to see that this milk coupon is back! It’s been more than a year since the this coupon was last available, so you’ll want to hurry and print it now. You can print the coupon twice per computer.